Blank white back of a standard size business card autographed in black marker by PGA Tour superstar and European Ryder Cup Team veteran Lee Westwood. 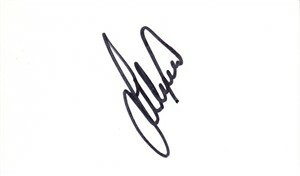 Authenticated by JSA with their Stamp of Approval unnumbered sticker on the back, and certificate of authenticity from AutographsForSale.com. ONLY ONE AVAILABLE FOR SALE.